I was searching for images on the web one day to place in a “music video” for a prayer service when I realized I hadn’t been saving the sources in order to cite them at the end of the video. That’s when I discovered TinEye. Got an image you need to find the origin of? Simply upload it to TinEye and it will locate the images in the various sources in which it appears. Like magic! Had my Grade 8 class write a narrative au passé composé about a trip across Canada. They used XPressLab’s Student Presentation and I wanted a map outlining their journey. I came across ScribbleMaps which allows students to tag all of their destinations, draw a line from place to place and save their map as a .jpg which can then be inserted into a slide like any image. Easy to use. Love the look. Seems the maps are only available in English. I would like someone to prove me wrong. Check it out! Anyone can understand “I no understand”. That’s fine for communicating on a holiday abroad, but for making a business call it could be embarrassing. Know what your goals are: do you need a foreign language for travel or for your career? Is it to show off, or just for the pleasure of doing something new or thinking in a new way? Set yourself goals. Make a plan for how much time you will dedicate to the new language and what you would like to learn next. But don’t stick to your plan! Would you prefer to study the subjunctive or the signs of the zodiac today, even if you really don’t need to? Digress! Enjoy exploring! Fly away! Your plan is like a walking stick that you only need to lean on when your wings are tired — you only need it if you can’t think of anything else to learn. Change it as often as you like. If you don’t have any time pressure, you should put off speaking the language until you really have the urge. Up until then, just listen. At some point it will just bubble out of you; at some point you just won’t be able to help coming out with those strange sounds too! If a word just comes out of your mouth all by itself, it’s all your own, it belongs to you. I’ll never forget how I suddenly started speaking Chinese while I was in the bath, after months of only listening. Don’t miss out on that kind of experience! They say there are auditory, visual and all sorts of other learners. Sometimes you’re one, sometimes you’re another. Your learning style changes with your mood. Develop a sense of what works best for you right now: Sometimes you might like to close your eyes and just listen, other times the images and letters literally jump out at you. Other times still you might want to paint, write, pronounce or sing everything. Sometimes you want to do it all at once! Idioms and sayings are the spice in the foreign language soup. Search out sayings that particularly amuse you. For example, imagine “laid back” and “down to earth” visually. Literal translations don’t make much sense, but they do often make for a laugh! French speakers literally say “he does cold” for “it’s cold”. Laugh yourself silly; share it with your friends. It will give you a feeling for the language. It will also enrich your vocabulary and keep your spirits up. Don’t limit your studying to preconceived notions or set situations. What do you talk about in your native language? What are you interested in? What gets you upset? Saying something in your new language will become much easier once you really want to say it. Flashcards and an automatic review manager are great. But turn off your computer and try to remember what you’ve just learned. Build up memory support in your head. Give yourself some time for it. Sometimes a word “comes back” after a few minutes. You’ll see that when you have to recall something all on your own, it sticks in your mind in a whole different way. If you’re always sitting in the same chair, learning the same phrase, you might be stuck when you have to reproduce it out on the street. Take your new language along with you wherever you go. Order your favourite meal at your local restaurant in the new language. When you take the train, imagine you’ve forgotten your ticket and you have to explain yourself to the conductor. Pop songs are great for learning grammar. Search out those licks that get stuck in your head. Listen and sing along, with or without headphones, in the shower, on your bike or in your car. So you’re learning French? Do a French day! Listen to French radio, watch French films, cook French food, read a French newspaper and search for your newest vocabulary on google.fr. Don’t worry if you only understand a fraction of what’s going on. Put sticky notes with French terms on all of the objects in your house, have conversations with yourself and boss yourself around in French. 10. Allow yourself to make mistakes! Nothing holds you back more than premature perfectionism. Don’t be afraid to do everything wrong — just write, sing and blabber away. A new phrase will only start to belong to you when you actually use it. Whether you use it correctly at first or not doesn’t really matter. There’s an unbelievable amount to be learned from mistakes. You just have to allow yourself to make them. If that’s hard to swallow, just remember how cute accents, incorrect grammar and phrasing mistakes are in others. Wouldn’t it be a shame if your French friend suddenly lost her accent and spoke perfect English? Learning a new language can seem a bit masochistic at times. You forget everything so quickly! You haven’t done anything for days! You were so proud of yourself for all you learned before, but now you don’t understand a word! That’s normal. It’s all part of the process. Don’t let it get you down! Kick, scream, moan… but don’t give up. Someday you’ll be giggling, chatting and cheering. A new language is a new world. Conquer it with pleasure. 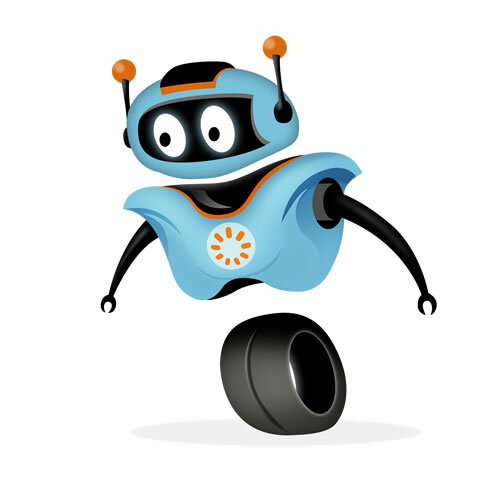 With Duolingo you learn a language and simultaneously translate the Web. Sounds intriguing. Hasn’t launched yet but you can sign up to be notified when it does. Can’t remember that song lyrics or name ? 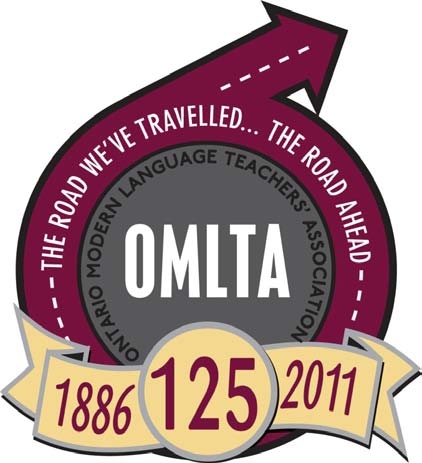 Welcome to all who came to my workshop at OMLTA today and listened as I fumbled and rambled about Cool Tools for Language Learners (and their Teachers). I was happy to be a part of the 125th anniversary conference. Just illustrates, “We’ve come a long way, baby!” Enjoy the blog. Use it as you need it and look for more stuff to be added in the future. Don’t forget to subscribe, and comments are always welcome. Search for or make your own Blockbuster type quizzes.